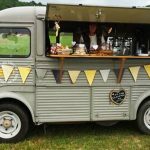 This 1963 vintage Citroën H van (called Nicole) brings amazing coffee (plus tea, hot chocolate and a range of home-made cordials, cola and lemonade) to the Midlands. 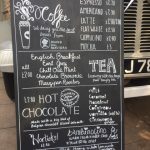 Kate uses the very best ingredients including Staffordshire’s own Shining Stone coffee beans. 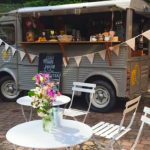 This fab looking ‘bake-off’-esque vehicle can be hired for your wedding and decorated with ‘just married’ bunting. Kate is looking to serve alcohol in the very near future, to include summery limoncello and prosecco cocktails and espresso martinis – developed by Lichfield’s Fifth Spire Gin Company. Email Kate on kate@tarteaucitroen.com or visit her website: www.tarteaucitroen.com to find out more about Nicole, Kate and her home-made cakes!